Did Salesforce buy Quip, or Bret...? Salesforce's latest acquisition is the productivity app, Quip which they brought for a whopping $750 million. 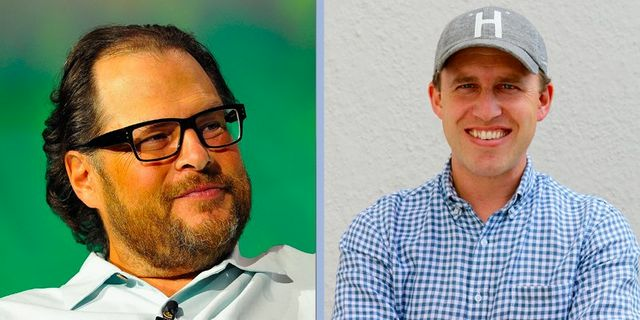 Business Insider explains how this was somewhat of a surprising acquisition from Benioff, given that Salesforce already has a note-taking feature and most of it's recent acquisitions have been around machine-learning start-ups. Did Benioff really invest in the Quip CEO, Bret Taylor (Ex Facebook CTO)? He was described by the Salesforce CEO as "one of the absolute rising stars of our industry" and has already said that Taylor will directly report to him, immediately making him one of his closest lieutenants at Salesforce. If this is the case, $750 million is a pretty hefty recruitment fee, so let's hope he performs! Salesforce just spent $750 million to buy the work-collaboration app Quip.